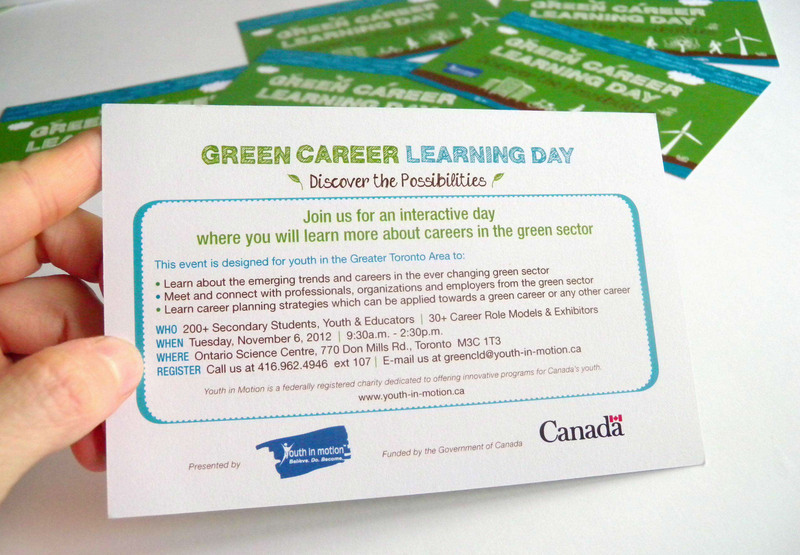 Design of the flyer and postcard invite for Green Career Learning day, a project presented by Youth in Motion and funded by Government of Canada. 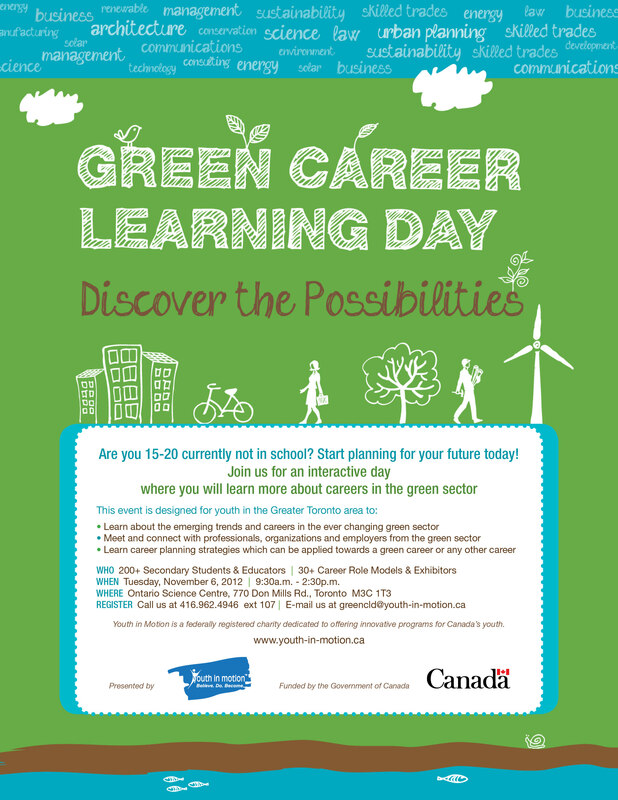 The event was designed to inform youth at the age of 15 - 20 more about careers in the green sector. 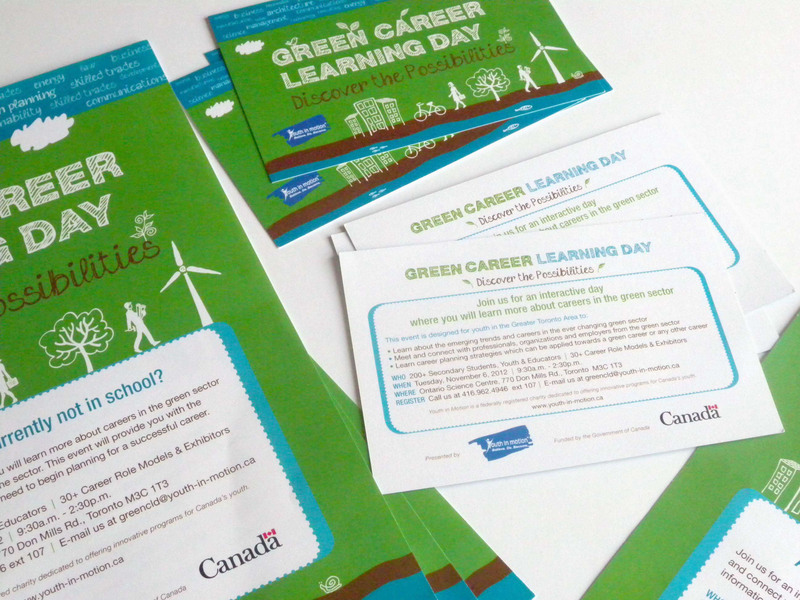 The material were design to be used for two events at two locations, GTA and Calgary. 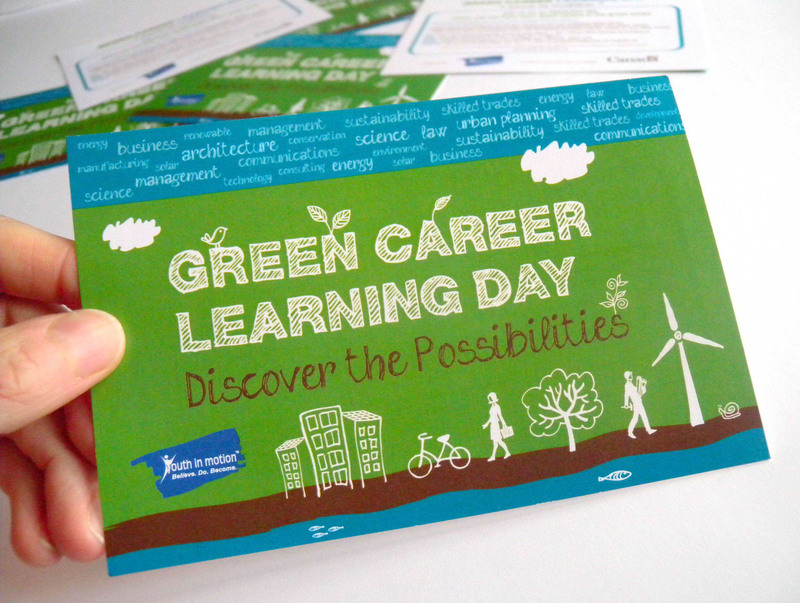 Therefor the client wanted the material to be attractive to youth at 15-20 yrs old, trendy with a green urban theme. The illustrations and a part of the text were custom designed for this project. 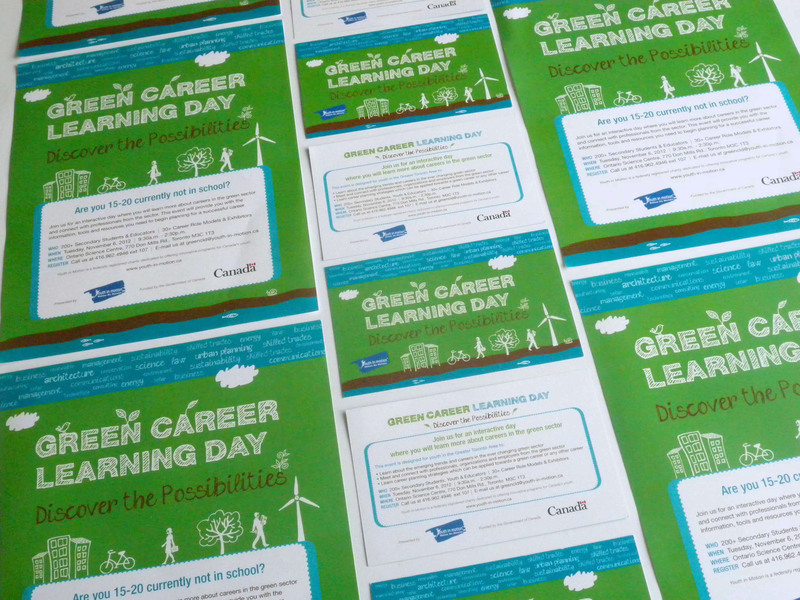 The material was printed and used prior to the event to inform and invite the youth.